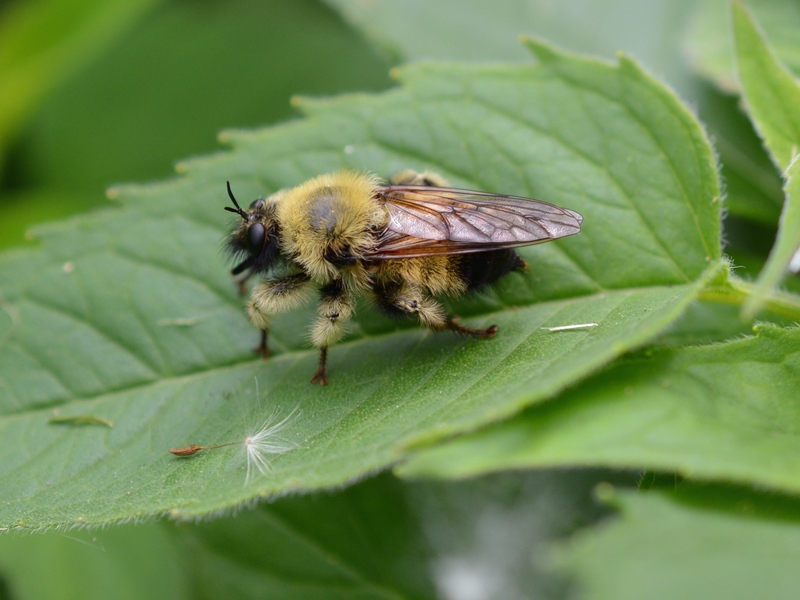 As you come to appreciate the diversity of bees in your gardens, parks and farm lands, you will discover that what appears to be a bee, at first glance, but in fact, is a fly mimicking a bee. 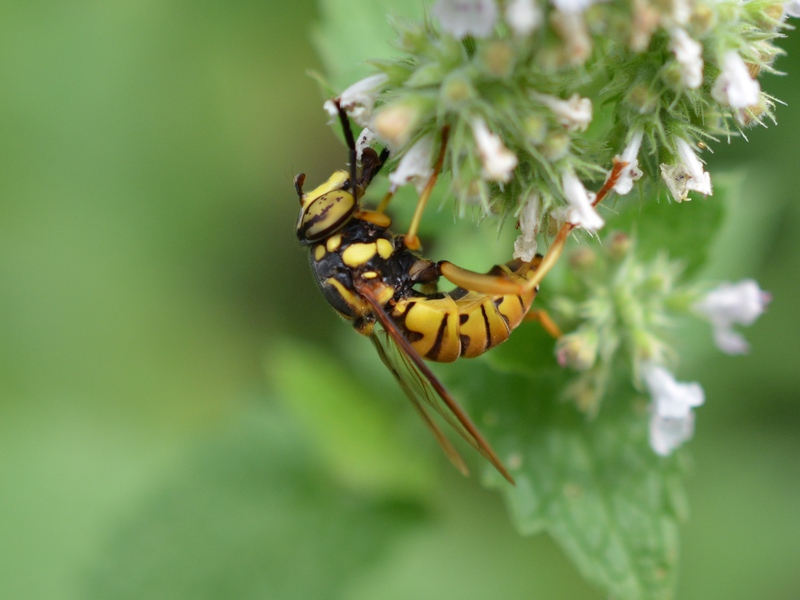 Some flies have colors and markings reminiscent of a bee or a wasp, while others have fuzzy bodies characteristic of bees. 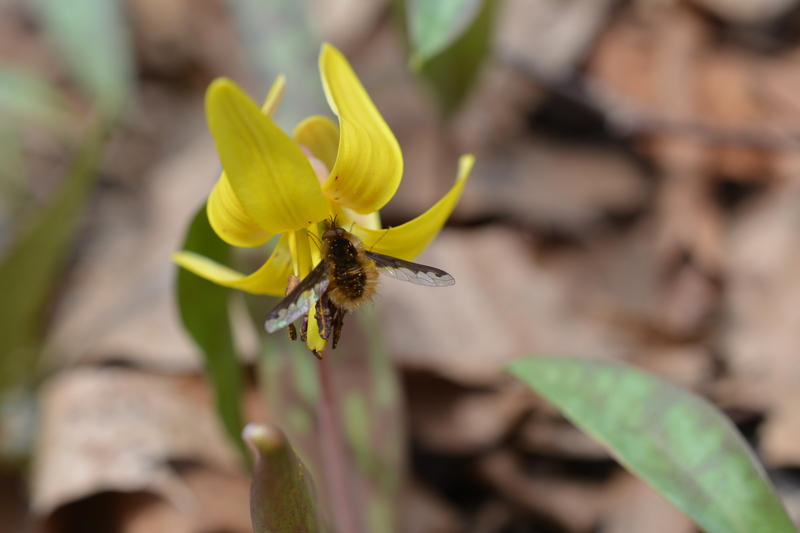 These mimicking flies are valuable members of the ecosystem and often-important pollinators. Don’t be confused, bees belong to the insect order of Hymenoptera, meaning membrane wing and flies belong to the insect order Diptera, meaning two wings. Here are three tips to tell the difference between a bee and a fly 1) flies have two wings and bees have a double set of wings. 2) Flies tend to have larger eyes located more on the front of the head versus bees that are more on the side of the head. 3) Bees have longer antennae than the short stubby antennae of flies.